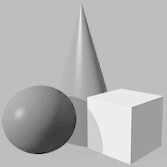 Einstein said, “A question that sometimes drives me hazy: am I or are the others crazy?” and the fanfare given Parmesan drove me hazy. Detailed studies by butterfly experts and conservationists dedicated to saving the butterfly from extinction had all blamed habitat destruction and sought habitat restoration. In contrast Parmesan blamed global warming and argued for reduced carbon emissions. She had blamed “global” warming even though most maximum temperatures in California had not risen significantly.3 More disconcerting the butterflies never migrated northward or upward, as claimed. Yet she now seeks funding to support an ecologist’s worst nightmare, assisted colonization. Parmesan wants to create her own Noah’s ark shuttling animals northwards and upwards so they can escape the supposed rising tide of warmth predicted by models, despite the fact that introducing species into new habitat brings disease and disrupts the established ecological balance. To her credit Parmesan had diligently spent four years of extensive and laborious fieldwork revisiting locations where the butterfly had been observed earlier in the century. However after verifying that more populations had gone extinct in the southern extremes and at the lowest elevations of the butterfly's range, Parmesan enthusiastically claimed her results were consistent with global warming theory. In 2010 she summarized her work: "it was a bloody obvious change. These butterflies were shifting their entire range over the past century northward and upward, which is the simplest possible link you could have with warming. I was expecting some incredibly subtle, sophisticated response to warming, if at all. What I got was 80% of the populations in Mexico and the Southern California populations were extinct, even though their habitats still looked perfectly fine. "2 But as I discovered later Parmesan always knew the butterflies had never migrated further north or to higher elevations. 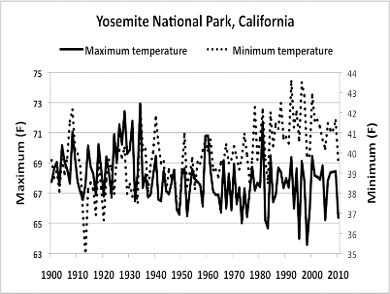 Hansen’s global warming theory had predicted that the increasing maximum temperatures would push animals northward and upward, however Parmesan failed to mention that most of California's maximum temperatures had never exceeded the highs of the 1940s as seen in Yosemite National Park. In fact her paper never analyzed local temperatures at all. Parmesan relied on the political global warming bias. Parmesan was speaking globally, but butterflies always act locally. Ask any university ecology professor. They would not hesitate to harshly criticize an undergraduate term paper that used a “global average” to explain a local event; yet that was her only climate “evidence”. Furthermore Parmesan failed to address the fact that higher temperatures enhanced the butterfly’s survival. Warm microclimates are critical for its survival. Caterpillars living in cooler microclimates develop more slowly, while those actively basking in the direct sunlight digest their food more quickly and grow more robustly. Cool rainy years often extirpated local populations. Since the 1950s, Stanford University's Paul Ehrlich and his colleagues had made detailed observations throughout the checkerspot’s habitat on the Jasper Ridge Preserve. They determined that the caterpillars must raise their body temperature an additional 18-21°F above ambient air temperatures. To raise their body temperature, caterpillars shuffled across the hillsides seeking life?giving hot spots.4,5,6 Any global warming, natural or anthropogenic, should have been a benefactor, not an executioner. Nor were extinctions limited to the southern end of the butterfly’s range. Rapid urban development entirely extirpated the Canadian subspecies (the Taylor checkerspot) from the coldest northern end of the butterfly’s range. But because there was a greater preponderance of extinctions in southern California, the "average statistical center" for the species migrated northward. There was never any evidence of any real migration due to warming. There was never an apocalyptic flight to cooler lands. Parmesan’s climate claim was solely a statistical fairy tale. Still Parmesan's unscientific climate claim was published in one of the most prestigious scientific journals with one of the highest rejection rates, Nature. The evidence against any CO2 connection was overwhelming, but I was no butterfly expert. Needing a reality check, I talked with my friend Dr. Paul Opler, one of North America's top butterfly experts. If you have ever spent any time with Paul, you quickly realize that no one has a greater love for butterflies. If there was the smallest threat, he would be the first to speak out. In 1974, he was hired as the first invertebrate specialist for the United States Federal Endangered Species program. Virtually every butterfly species now listed as endangered was listed under his watch. To my great good fortune, he agreed to teach a course, "Butterflies of the Sierra Nevada" (which he still teaches), for my environmental education program each year. When he visited, I expressed my doubts about the legitimacy of Parmesan's claims and my bewilderment at all the media hype, and I asked if he had seen any supporting evidence. So I decided Parmesan's landmark climate study needed to be replicated with a more critical eye on the contributing land use factors. However, when I looked for her methods section there was none. Her study had been published as a correspondence, and in Nature, a correspondence doesn't require a methods section that allows for independent verification. That also explained how her paper survived a gauntlet of disagreement by leading experts. A correspondence is not typically peer reviewed. It is published simply based on the advocacy of Nature's editors. I emailed Dr. Parmesan and asked for the locations of the extinct populations. After months without reply, I called. Caught off guard, she initially refused to share any data, but after more discussion offered the possibility of collaboration. She said she needed to hang up but promised to send some data. More than three years later, I am still waiting. So much for Feynman's good scientist “trying to prove ourselves wrong as quickly as possible." Her husband eventually responded to a follow-up email I sent a year later in which I expressed my frustration with their failure to allow independent verification. Her husband, Dr. Michael Singer, is a checkerspot expert who had shared in her research. Singer unintentionally confirmed Opler’s criticisms, "Her study did not find new northern, or higher populations of the species…There are no ‘new’ northern populations in Parmesan's study. The study consisted entirely of re-examining populations known from past records and assessing which of them was currently extant or extinct. No 'new' populations were sought or found (emphasis added).” Trying to discourage my replication efforts Dr. Singer wrote, "But I do remember writing to you to say that E. editha has been increasing through the 2000s and that many of the populations that Camille and I recorded as extinct in the 1990s have been recolonized….So, any new census of Sierra Nevada populations would show a reduced correlation between elevation and population status, perhaps no longer a significant correlation." Singer and Parmesan illustrate a glaring problem when limiting debate to peer-reviewed journals. Contradictory evidence is simply never published. 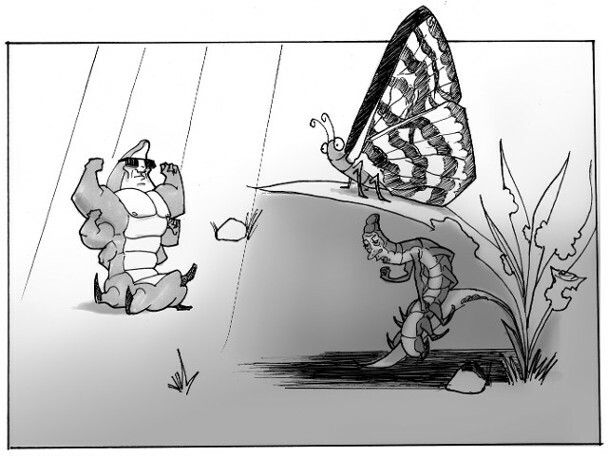 So why haven’t they published this good news of the butterfly’s recovery? Why did only her erroneous climate gloom and doom bring worldwide acclaim? Despite a wealth of evidence that contradicted global warming predictions, her faulty “Climate and Species Range” went viral and is now cited by over 580 articles. In contrast just 17 have cited the paper detailing conservationists’ efforts that actually saved the butterfly, “The Endangered Quino Checkerspot Butterfly”. Parmesan wrote subsequent papers blaming extreme weather and climate change for population extinctions and again withheld evidence of the species’ success. Likewise her half-truths were immediately embraced and published by our leading climate scientists and then cited by more than a thousand articles. That deception however requires a future essay. 3. Cordero, E., et al., (2011) The identification of distinct patterns in California temperature trends. Climate Change, DOI 10.1007/s10584-011-0023-y. 7. Mattoni, R., et al., (1997) The endangered quino checkerspot butterfly, Euphydryas editha quino (Lepidoptera: Nymphalidae). Journal of Research Lepidoptera 34:99–118. 1. How can the global average temperature kill a species when the local maximum temperature trends are cooling? 2. How can global warming cause the extinction of a butterfly that must raise its body temperature over 10 degrees? 3. Why would a researcher not share their data for verification? 4. Why hasn't the recovery of the butterfly populations that were once considered extinct due to global warming been celebrated, published or worthy of a press release?